This post may contain affiliate links. Exploring new sights is a participant in the Amazon Services LLC Associates Program. As an Amazon Associate, we earn from qualifying purchases linking to Amazon.com and affiliated links. Winter RV Living! Surviving an overnight freeze during the winter in an RV while living full-time, was a first for us in November 2018. We live in Fort Worth, Texas, so while we don’t experience the snow very often, we do get below 32 degrees. I searched and searched the internet on advice on how to prepare your RV for an overnight freeze, and I just couldn’t find much. Maybe it was what I was searching, but it was beginning to get frustrating. I did learn how to winterize your RV if you’re going to be storing, but not if you’re living in one. So, I am writing this blog specifically for those living Full-Time or staying in an RV during the winter who have the same questions I had the day we had a freeze warning. Questions like: What do I do? How to keep my tanks and pipes from freezing? Should I get more propane or space heaters or both? Our freezes are usually just an overnight affair here in Fort Worth, Texas. So, once it warms up the next day we don’t have to worry about pipes or hoses freezing. Therefore shutting the water off while we sleep isn’t a big issue. We also made sure we had water bottles or jugged water in the fridge filled and ready to go. So, the night before (since we did not have a heated hose) we completely shut off our water and detached the water hose. We then make sure our lines and pipes are free of water by turning on the faucets inside to clear the lines. We don’t worry about the water in the water heater because it’s electric and stays warm. If you do turn off your water heater, the best suggestion is to release the water to prevent freezing and ruining your hot water tank. Another option is to purchase a heated water hose and some styrofoam to cover your pipes for extra insulation. A good practice is to keep your cabinets open in the kitchen and bathroom. This allows the pipes to stay warm. If you dont have a heated water hose, you can get one right here at Amazon! So worth it! Next thing we did was released our tanks and kept our valves closed. Now, I did see that it is okay to not release them if they are 1/3 full, and the tanks have a heating element or heating pads that keep them from freezing. However, I always like to be safe then sorry so since we could release them, we did! After shutting off water and releasing the tanks, next we set out to check our propane tanks. However, we actually ran out of propane right before the freeze and kind of freaked, so we learned this one the hard way. Luckily, my husband’s brother in law had an extra tank that we could use for the night. Therefore, we didn’t have to run to the store. So, lesson learned, when it’s cold, always have extra propane. Another option if you don’t want to rack up a high bill of propane during the winter months is to buy a space heater. Our RV has an electric fireplace, but even that doesn’t put off enough to heat the whole RV when it below 32 degrees outside. So, having an extra space heater won’t hurt and will save you money on propane. The best space heaters we have found is this Ontel Handy Heater and the Trustech Oscillating Ceramic Tower Heater. It plugs right into the wall and is great for bedrooms or bathrooms. It saves so much space too! Another thing is condensation! With the cold air outside and the warm air inside, this causes condensation on the windows. Over time, if not properly dealt with can cause mold issues. Therefore, purchasing a dehumidifier is very handy and helps prevent future mold issues. Also, we love using the Arm & Hammer moisture absorbers. We place these in the bedrooms, closet, bathroom, and can be put pretty much anywhere. To keep the warm in and cold out, insulating your windows is recommended because RV windows are usually pretty thin compared to those put in houses. This can be done with bubble wrap, styrofoam, or insulation boards and some velcro or tape. This will also help with the condensation too that can accumulate on your windows. For a quick buy, you can just check out the local hardware store like Lowes or Home Depot. RV skirts are great, especially if you are going to experience snow. These skirts provide protection from wind and debris blowing underneath. They also insult the underbelly of your RV to help further prevent your tanks and pipes from freezing. And Last, but not least…BLANKETS! Stay bundled up with blankets, socks, warm clothes and yes… even gloves! Our favorite blankets are wool blankets specifically because that is one of the warmest material. Wool blankets are great for indoor snuggles or outdoor sitting by the fire.  Also, Don’t forget the Coffee, Hot Tea, or Hot Chocolate for extra warmth!! So, let’s recap on what we did to keep our RV from freezing and how we stayed warm during our Texas Freeze. -Bundle up! Wool Blankets, socks, warm clothes! Stay Warm!! 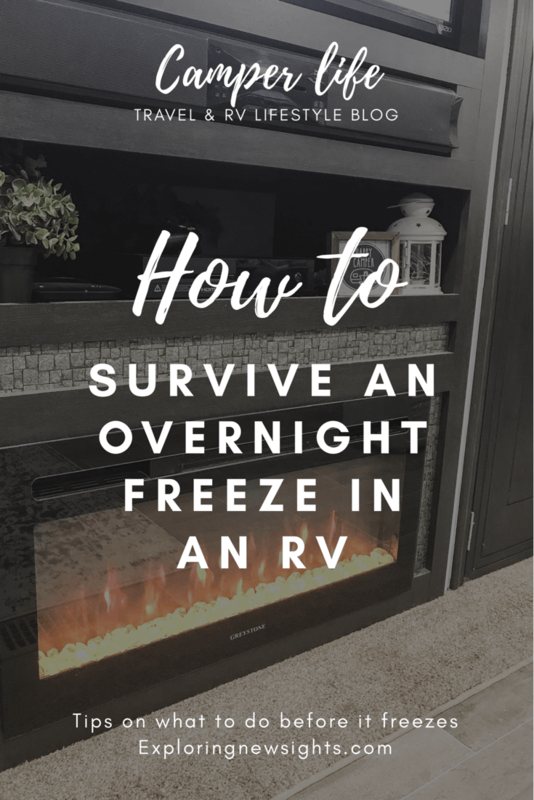 I hope you enjoyed reading and I hope this helps answer some questions on staying warm during a freeze while in an RV. While we make these suggestions, we are not responsible for any mishaps, freezing pipes and hoses, or fires. We do recommend you use safety measures and read your RV’s owner’s manual. If you have any other tips that has helped you during a Freeze, please leave us a comment! Don’t forget to follow us on social media and sign up for our newsletter! Stay up to date and get notified for new blog posts and much more! No spam, we promise! Hi! We are Matthew & Nissa Haight. (Pronounced ‘Height’). We are married and living the fulltime RV life. 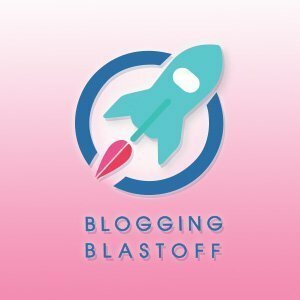 We blog about money, travel, and the minimalist RV lifestyle! Read and learn more about our journey and don’t forget to follow us. 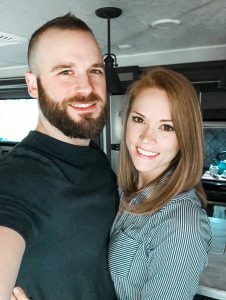 April 2019 Goals: Our Journey to a Debt Free Life and More! March 2019 Goals: Our Journey to a Debt Free Life and More! All content provided is for inspirational purposes. Creating, using, or traveling with our suggested products or supplies is at your own risk. Please use your best judgement and follow all safety precautions as Exploring New Sights is not liable for any losses, injuries, or damages from the use of this information. Exploring New Sights is a participant in the Amazon Services LLC Associates Program. 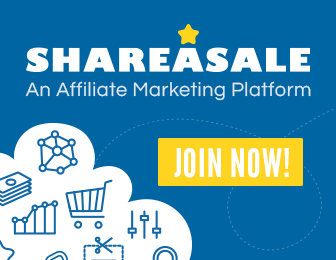 As an Amazon Associate, we earn from qualifying purchases linking to amazon.com and affiliated links.